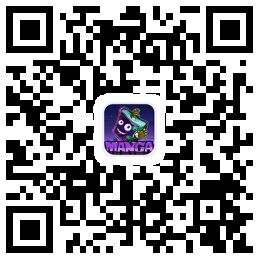 Ch.238 - What Animal Dares to Eat Kun? Ch.197 - Wouldn’t It Be Nice If You Surrender Reasonably? Ch.166 - The Three Kingdoms at the End of the Han Dynasty ? Ch.165 - Big Sis’s Roasted Pork and Chicken Rice! Ch.164 - So What If I Kill You? Ch.163 - The Moon of Qin Shines Yet Over the Passes of Han. Ch.160 - You Can Fight Ten at Once? Ch.155 - Did You Forget How Scary Big Sis Is? Ch.154 - You Think I Wouldn’t Get Mad? You Think Foster Mother is a Sick Kitten? Ch.141 - How Can One Be a Prince Charming When One Isn’t Handsome? Ch.140 - You Thought Foster Father is a Good Person? Ch.137 - Still Believe in Justice? Ch.127 - It’s Over for the Evil Dragon? Ch.122 - Where Are You, Planet Lord? Ch.119 - Are Shuras People? Ch.111 - Feel Free to Shoot My Head Off If You Disagree. Ch.109 - Why Are You Forcing Me? Ch.085 - What Should I Do If Soul Tier Goddess Steals Dan Dan Away! Ch.075 - Who Dares to Hit the Professor? Ch.073 - You Thought Foster Father Mu Wasn’t Scheming? Ch.066 - Big Sis, You’re Not Afraid of Other Girls Stealing Foster Father Away? Ch.058 - Immortal Godmother Worships Foster Father Mu? Ch.038 - You Really Think You’re Mu Siyun? Ch.009 - You Really Think I Won’t Touch You?